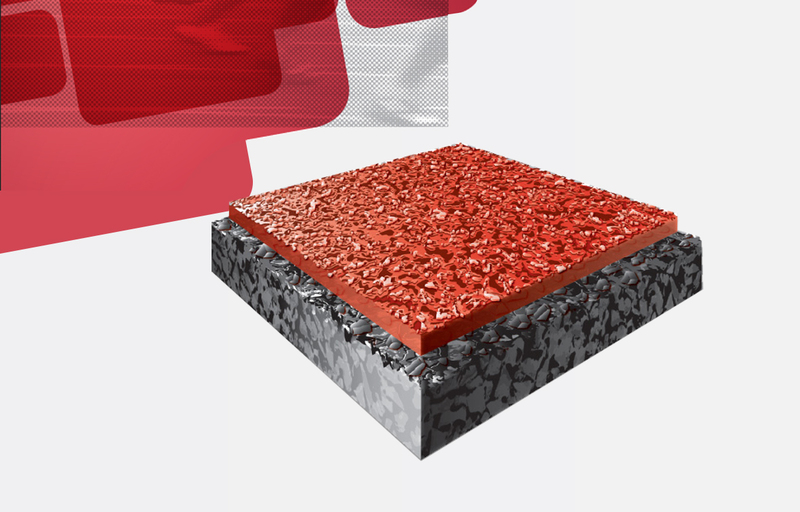 Bull nose edge when there is no curbing present, can be installed with or without fall height protection (base mat) on asphalt or concrete base. When rubber surfacing meets wood fibre. When different fall heights are required within same play area. Recessed drain can be identified on the surface using EPDM in a contrasting colour and pattern.